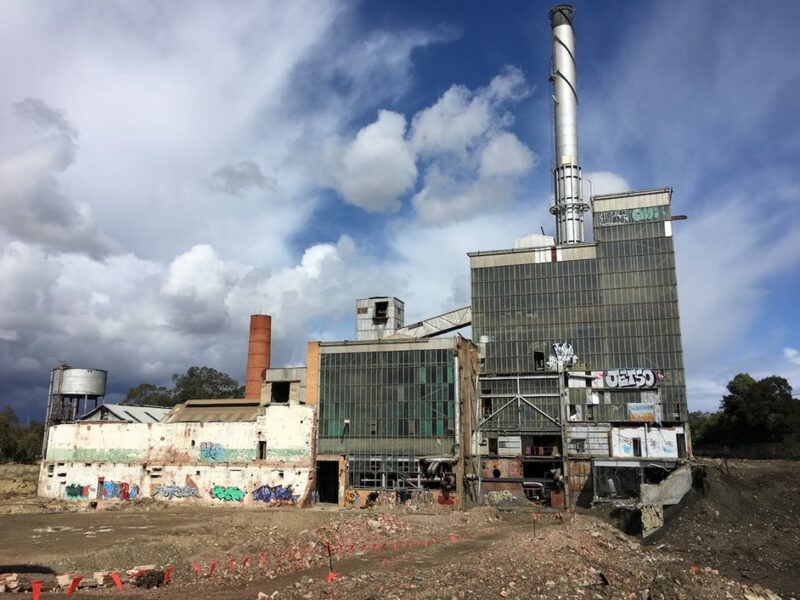 News that the Minister for Planning has overruled recommendations by Heritage Victoria and the Heritage Council of Victoria to add the 1954 APM Boiler House in Alphington to the Victorian Heritage Register has reignited community debate about the importance of our industrial and post-war heritage places. Following a nomination to the Register in 2016 (which was supported by the National Trust) the landmark Boiler House was assessed by Heritage Victoria as having technical and scientific significance to the state of Victoria as one of the earliest examples of glazed curtain walling, a recommendation upheld by the Heritage Council of Victoria. For the first time however, the Minister used his powers to overturn the recommendation, effectively paving the way for the building’s demolition, regardless of its significance. The National Trust has written to the Minister for Planning expressing disappointment in this decision. The National Trust has advocated for the cultural heritage significance of the Boiler House since 2015 when it lobbied the City of Yarra to reject the recommendations made by the Responsible Officers in the Amcor Development Plan Assessment to demolish the building, despite being protected by a Heritage Overlay. 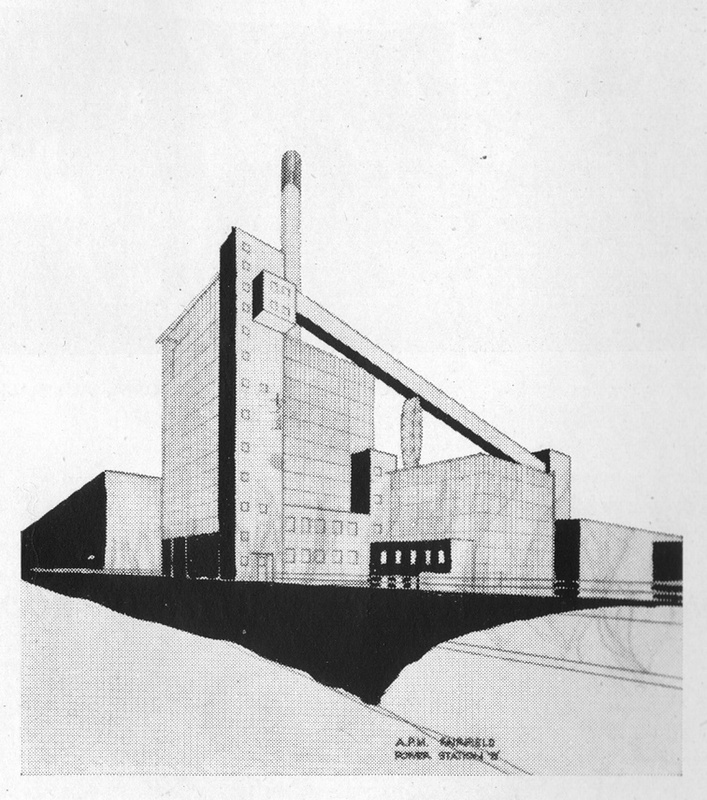 At this time, the National Trust strongly argued that the demolition of the Boiler House would have an unacceptable and unjustified impact on the established significance of the old Paper Mill site, and should be rejected by Councillors. This established significance was based on the assessment of multiple heritage experts and reports, including research undertaken by noted architectural historian Simon Reeves of Built Heritage Pty Ltd, the preliminary report to the City of Yarra undertaken by Biosis Research Pty Ltd in 2007, the assessment undertaken by Lovell Chen in the 2013-4 Conservation Management Plan, the peer review of an earlier Lovell Chen report undertaken by Context Pty Ltd in 2013, and the City of Yarra Heritage Review undertaken by Allom Lovell & Associates in 1998 and other subsequent reports commissioned by Yarra City Council to determine the cultural heritage significance of the place for inclusion in the Schedule to the Heritage Overlay (for which it is individually listed HO70). The inclusion of the place in the Royal Australian Institute of Architects Register of Twentieth Century Architecture and Works, and on the DOCOMOMO Australian Buildings Register, adds further weight to this established significance. We believe the decision not to add the Boiler House to the Register undermines the integrity of the rigorous systems we have in place to assess places of heritage significance, echoing the recent controversy over the NSW government’s refusal to include the Sirius building in The Rocks on the state heritage register. Whether or not there are people in the community who think this building is ‘unattractive’ has no relevance to its historic importance. While we welcome the announcement that an investment of $5.1m will be made in “heritage measures that preserve and pay tribute to the paper mill’s history’, we are disappointed that remediation and adaptive re-use of the existing highly significant building could not be undertaken. You can show your support for the APM Boiler House by signing this petition. 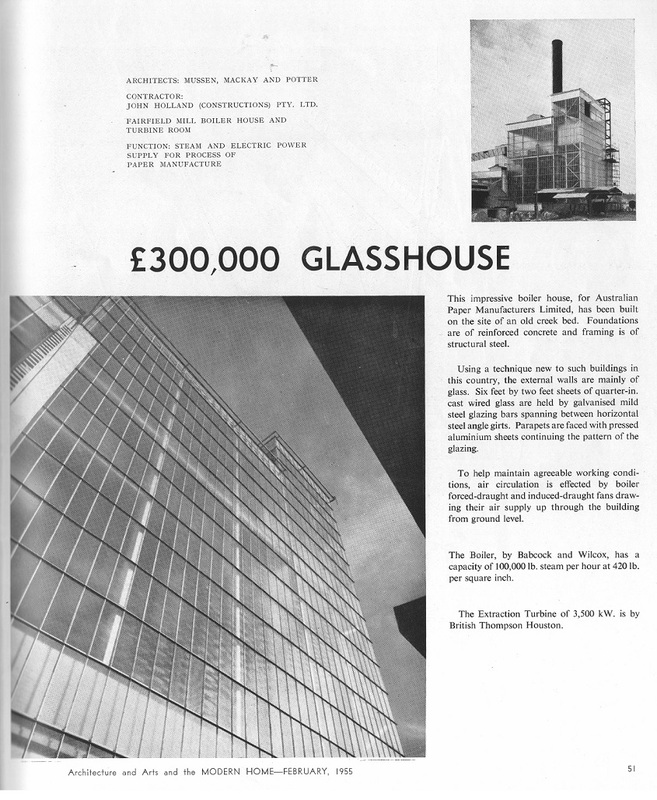 Article featuring Power House B, published in February 1955 (Source Architecture & Arts, No 18, Feb 1955-51). 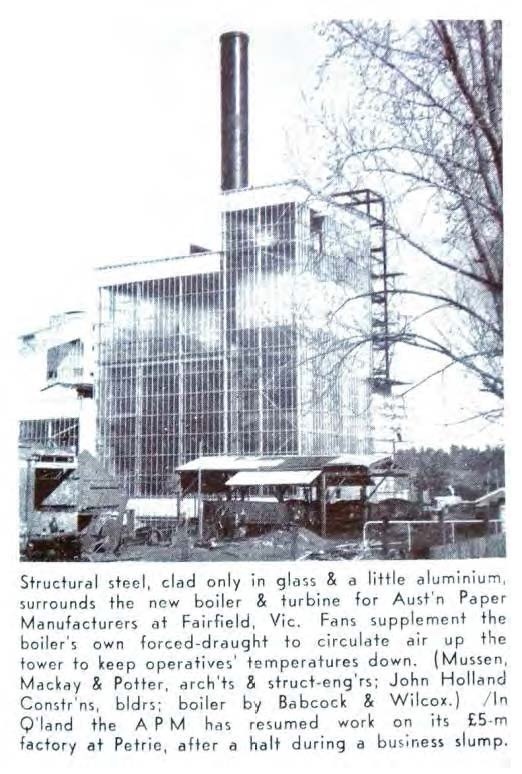 Photograph of the completed power station published in October 1954 (Source Cross Section, No 24, 1 Oct 1954-1). My partner and I stumbled over here from a different website and thought I may as well check things out. I like what I see so now i am following you. Look forward to going over your web page again.